The children in the toddler room were excited to find worms in the garden this morning. They investigated further with magnifying glasses and they looked underneath the logs. We continued with our theme from last week ‘Ada Twist Scientist’ and have encouraged the children to experiment with oil, coloured water, vinegar and baking soda. The children mixed the oil and water and observed that the substances did not mix. The vinegar and baking soda experiments gave the children a surprise. They discovered that they have a strong reaction when mixed together – an explosion. The children had a most enjoyable time asking lots of questions and most of all having fun. Why did the spider come inside? This week is book week scotland and we are focusing on the book ‘Ada Twist Scientist’ by Andrea Beaty. Ada is a very curious girl who wants to know why things happen. Recently a large spider came into the Family Centre and the children wanted to know why the spider had come in. The children were made aware of different types of insects and what they eat. They were then aware that dropping food on the floor attracts flies and as spiders eat flies the spider had come in to the centre to eat the flies. The children then were given specimens of insects to examine and made representations of them with playdough. The very curious children had lots of fun looking at the insect specimens and making playdough models. Science in action! 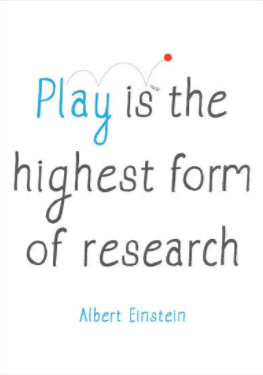 Play allows the child to research.